Most of the paths we took were boardwalks- good thing, too, because otherwise we would be clambering around and slipping on mangrove roots. The mangroves really do grow right on the water. 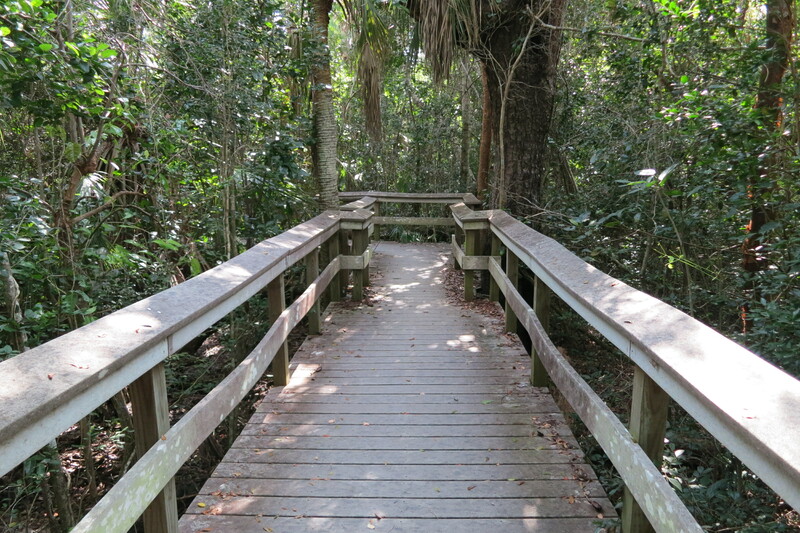 This boardwalk exited the mangrove forest (and swarms of mosquitos) for a little bit of sunshine and open water. 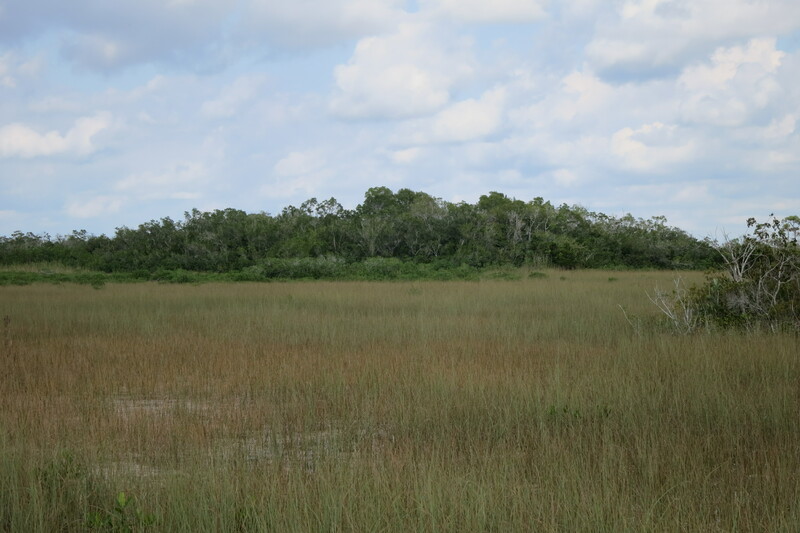 These are the ‘grassy waters’ of the Pa-Hay-Okee trail. 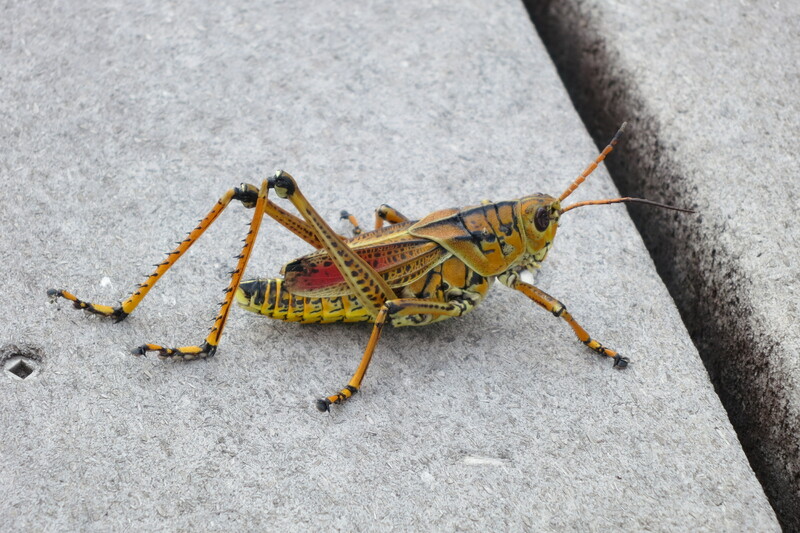 This little guy has to be one of the brightest insects I’ve seen, besides butterflies of course. The bright colors are to indicate that he’s toxic, and they worked, because he was moving very slowly and in the middle of the path, but hadn’t been eaten when we came back to his part of the path half an hour later! 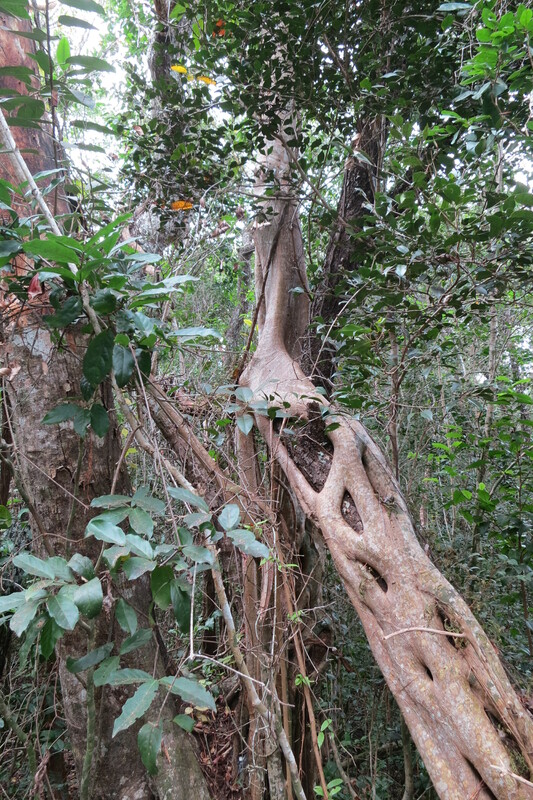 This (middle/ right) is the Strangler Fig tree. It reaches the sunlight by climbing up other trees, but grows so thick and wooded that the support tree normally dies. 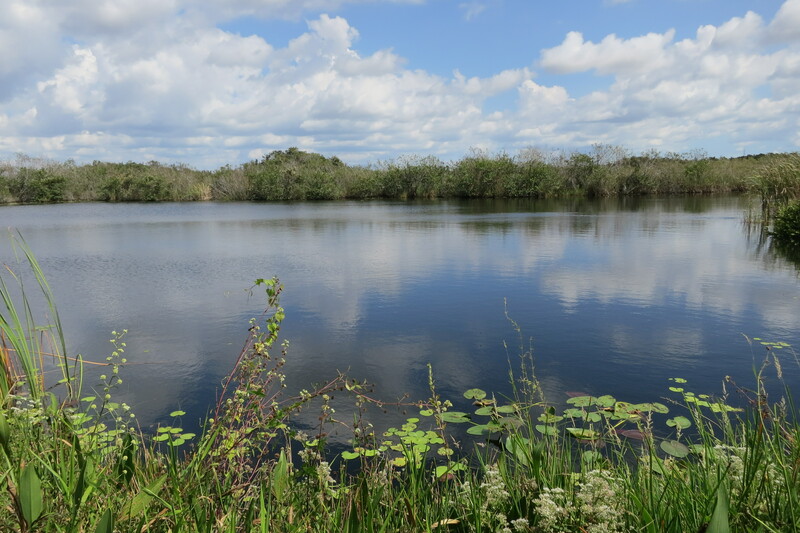 The Anhinga trail goes around a lake. 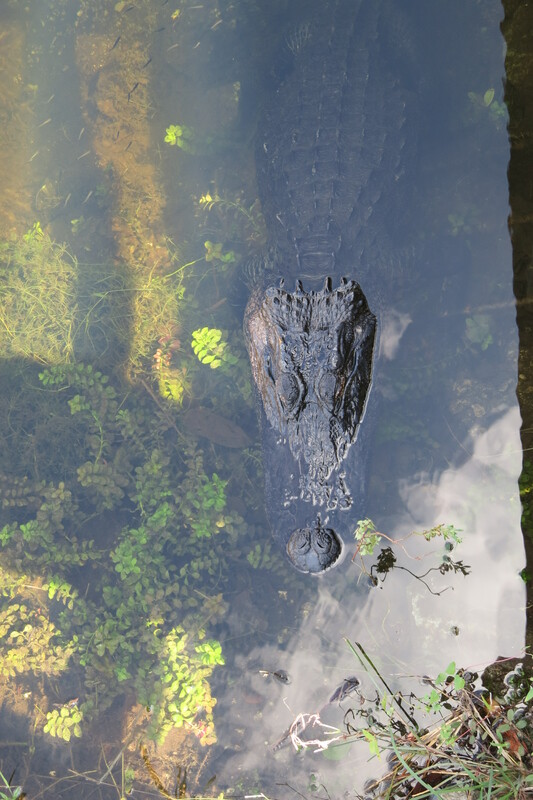 Even on a crowded day with many families there, we were able to see lots of birds, fish, turtles, and a couple of alligators! 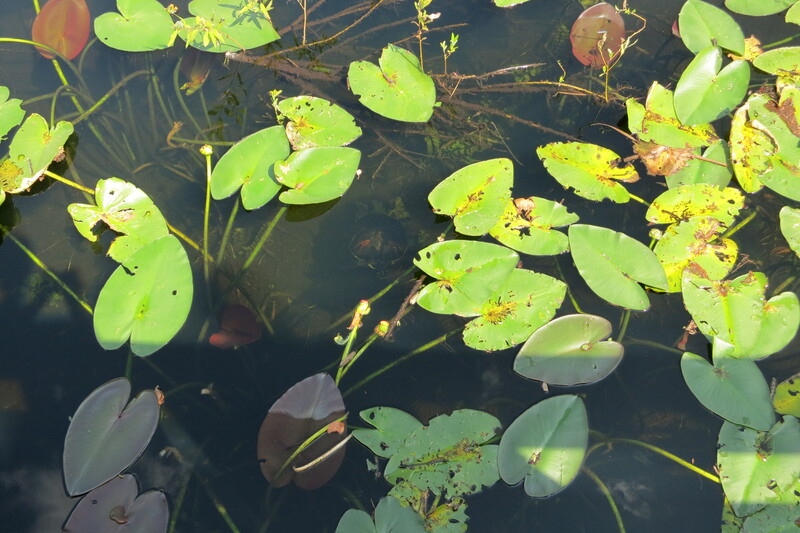 And finally, we promised there would be gators! Although it is easy to see in the picture, we walked right by it. We wouldn’t have found the gator if it weren’t for some sharp-eyed kids. 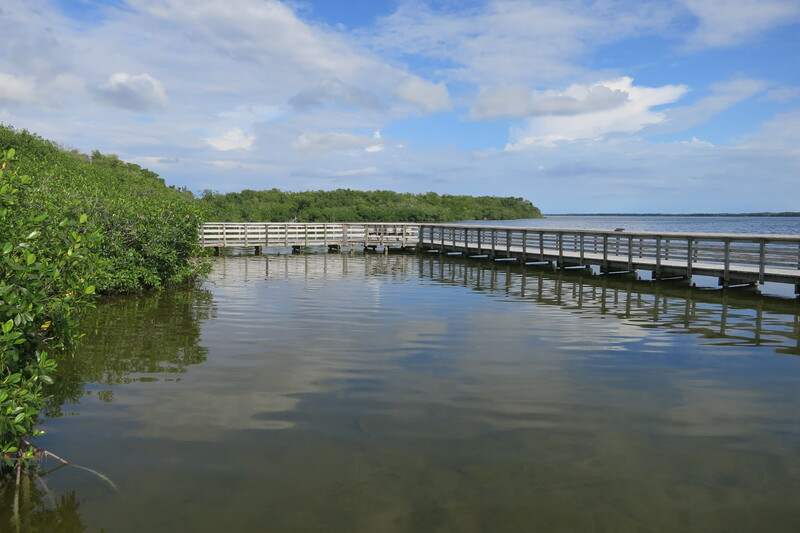 The southern Florida adventures continue on Wednesday when the video for Biscayne National Park comes out, so check back then! 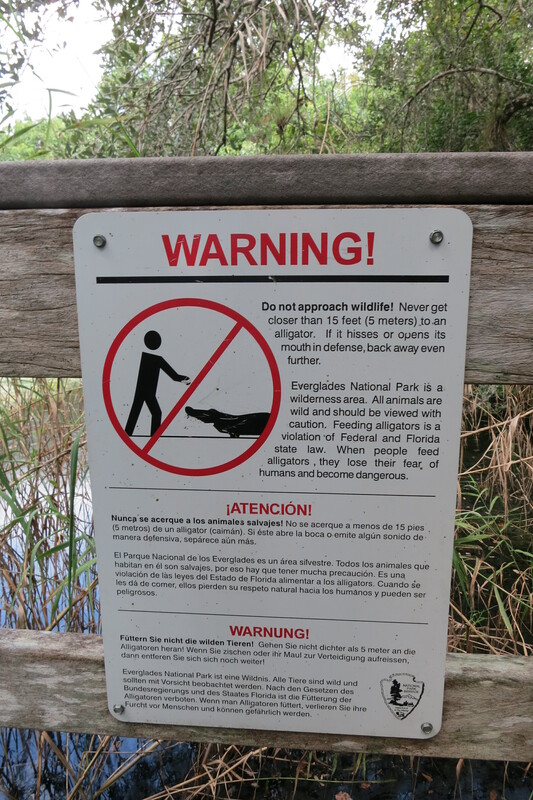 This entry was posted in Uncategorized and tagged #theGAPtrip, Alligators, Boardwalks, DA post, Everglades, Everglades National Parks, national parks, Photo Post, Photo Set, road trip, Southern Florida by thegreatamericanparkstrip. Bookmark the permalink. We’re just fine! Maybe an hour of high winds and rains but it blew over!